If you have any truly gifted children in your life, you know it can be a challenge to keep up! In my pre-mom life I was a certified gifted specialist, so I understand. Lately, as our children are getting older, a few of my friends have been asking questions about their kids and possible giftedness. If you think your child may be gifted, make sure you read the first post I wrote about this subject. I hope you’ll find a few helpful tips about identifying gifted kids. 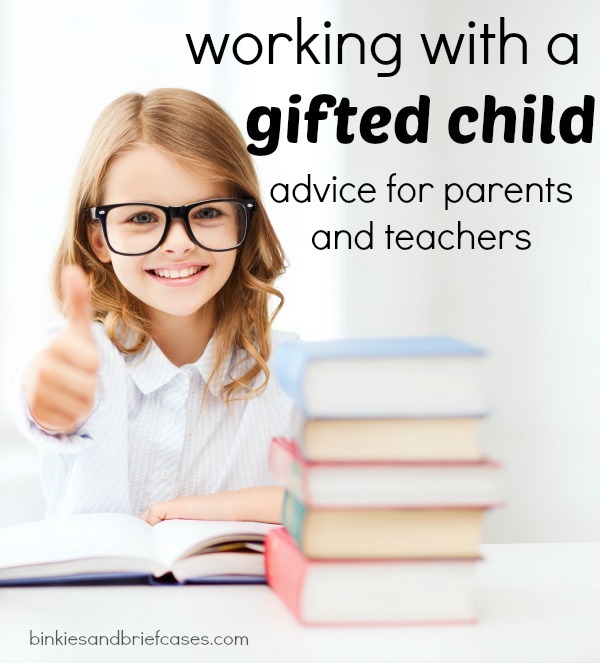 Once you know for sure you are working with a gifted child, what can you do from there? Make sure a gifted child is showing growth. Remember when there was a political debate about the difference between proficiency and growth? This is one reason why. Those really are two completely different things. Let’s pretend a child tests 100% proficient on grade-level material at the beginning of third grade. That means she has already mastered all of the material for the year. If no one is monitoring her growth, it’s possible for her to go through an entire year and end up in the exact same place she started, without really learning very much. That’s unfortunately a disservice that is often done to gifted children because they are already very good at what is asked of them. Sure, our example student can pass all of the third grade tests in May, but she could already do that at the beginning of the year. That’s because because she was proficient or good with the material in the first place. In order to see growth, there should be change. Maybe she was reading at a sixth grade level at the beginning of the year (already more than proficient in third grade), and now she’s reading closer to an eighth grade level. The move up several levels would demonstrate growth. When I was teaching, this was a big concern among teachers whose evaluations were often based on standardized tests showing growth on grade-level material. If a child already has a test score in the 99th percentile in the beginning of the year, then it is very difficult to show a year’s worth of growth using their standardized test results. Make sure you are measuring growth in various ways. Offer structure and challenging activities. Gifted children are still children. Because of their giftedness they will finish work early or get bored by people teaching them things they already know. The combination of boredom and extra time will often lead to behavior issues. Make sure there are plenty of things for gifted kids to do when they finish a task, and try not to make those things extra work. (Being asked to do more worksheets after you finish the first one feels like a punishment.) Instead, offer structure and establish a routine for what to do when you finish your work. Many teachers allow students to keep a favorite book in their desk to read quietly, or a book of crossword and Sudoku puzzles that can be done independently so no one else is disturbed. I liked to have chess boards available. We learned how to play in the beginning of the year, and as students finished their work going back to the chess table was one of their options. Although it is tempting, please don’t pair gifted students with other students as tutors. Many adults believe this strategy benefits both students, but that is a misconception. Unless a gifted child is very social and has a talent and love of teaching, this technique can backfire. Gifted students tend to see this as a punishment as well because they are being prevented from learning and exploring new things during this time. Some might argue that the best way to learn new material is to teach it to someone else, but that simply isn’t really true for kids who have already mastered the material because they don’t need to learn something they already know. Low-performing students can be overwhelmed and frustrated that they are expected to meet the same standard as a child who is gifted. Plus, gifted children often become bored and resentful in these kinds of pairings and benefit much more from enrichment activities. It is much better, whenever possible, for gifted children to be placed in homogeneous groups with fellow gifted students. Enrich or modify the curriculum for gifted kids. You might be in a school district that does not have a gifted program. Don’t worry (although I would recommend advocating for one), there are ways to make sure the needs of gifted students are met in a general education setting. For example, if a gifted student has already mastered the science unit on simple machines, let him invent his own Simple Machine and work on it with K’nex when he is finished his regular classwork early. Finished your simple machine? Write a commercial and then make an appointment with the teacher to film it. Of course, these activities could be available to all students as they finish their regular classwork, but you might find that not everyone has time to get to the extra step of filming the commercial. If you are a parent of a gifted child, have a meeting at the beginning of the school year with your child’s teacher and discuss these kinds of enrichment activities and whether you can do anything to bring them into the classroom (like donating a few chess boards or a set of K’NEX). Or maybe you could work with your PTO to start an after school LEGO club. Encourage interests and activities outside of school. All children benefit from extra-curricular activities, but it is very important to keep gifted kids stimulated and sometimes they also need an extra push in the socializing department. If a gifted child has a focused interest on something unique, like history or trains, then call a local museum and see if there are any children’s programs offered in the summer. It might take some out-of-the-box thinking for you as the adult. Or you might find yourself starting a program of your own if nothing is offered locally. If you are looking to learn more, you can find a list of resources from the National Association for Gifted Children. 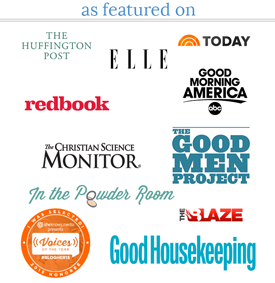 Thank you for your Pinterest pins and Facebook shares! FYI, all gifted kids do not wear enormous glasses. Good article, silly pictures. Another reason why gifted children shouldn’t generally be tutors is that they often do not understand what kinds of difficulties other children might have with the material. It has come so easily to them, they can’t see the steps in the progression of understanding that are necessary, nor how to scaffold the other students into understanding. Too often the other child gets frustrated and just ends up copying the correct answers or reciting the same reasoning, without comprehension or internalization.